Soft yet sculptural, Colina is a family of armchairs, elegant in silhouette and generous by design. Though originally created to complement the fluid architecture of the modular sofa system Loop, its adaptive, organic form and diverse range of options invites inclusion in many contexts from offices to public spaces to homes, in groups or alone. Its open character encourages dialogue of all sorts in architecture as well as among colleagues and friends. Available in 3 sizes: small, medium and large upholstered in leather or fabric. Small, medium and large versions are available in an upholstered solid base. 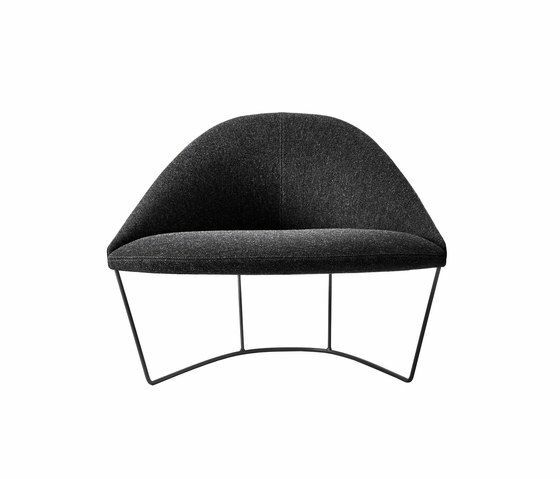 In addition, Colina Medium is available in cantilever, sled and 4-leg wood base. Arper is an Italian company producing and distributing office, home and contract sector furniture worldwide.